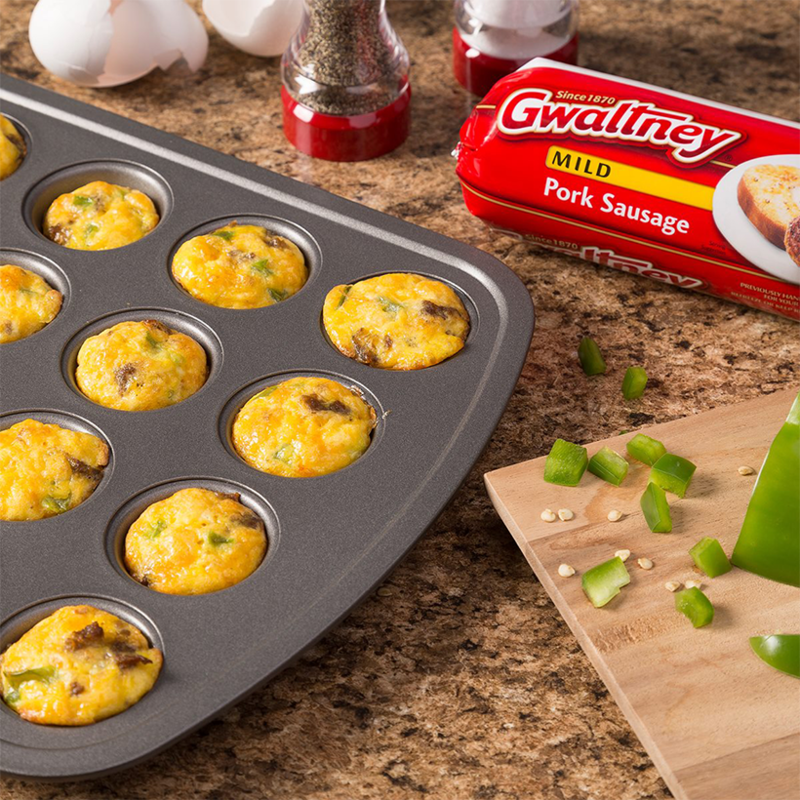 Try these 4-ingredient Gwaltney Sausage and egg muffins with the kids. Brown and drain Gwaltney Sausage. Beat eggs in bowl. Add meat, cheese, salt, pepper and bell peppers. Mix. Pour into greased full size muffin pan 2/3 full. Bake 350 degrees for 30 minutes. Use toothpick to check for doneness.